My mother passed away 10 years ago today, on the eve of the Feast Day of Our Lady of Guadalupe. She went to God with a shining golden splendor on her face, reflecting back to us the Glory of God. I remember Our Lady and my mother today. 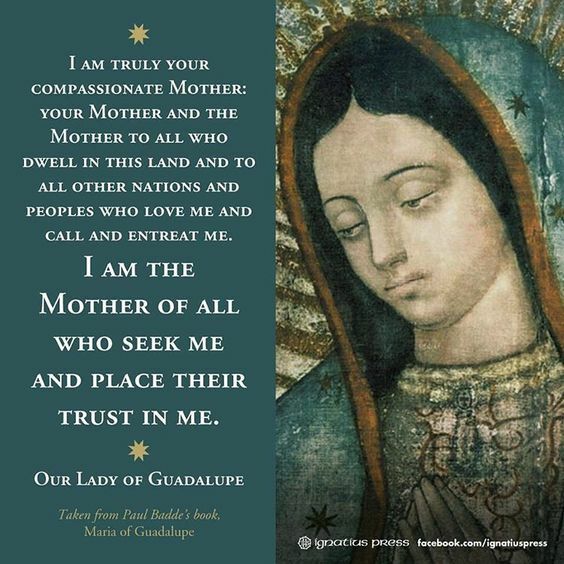 Our Lady of Guadalupe, please pray for my mother.